Corey LaJoie is running in the No. 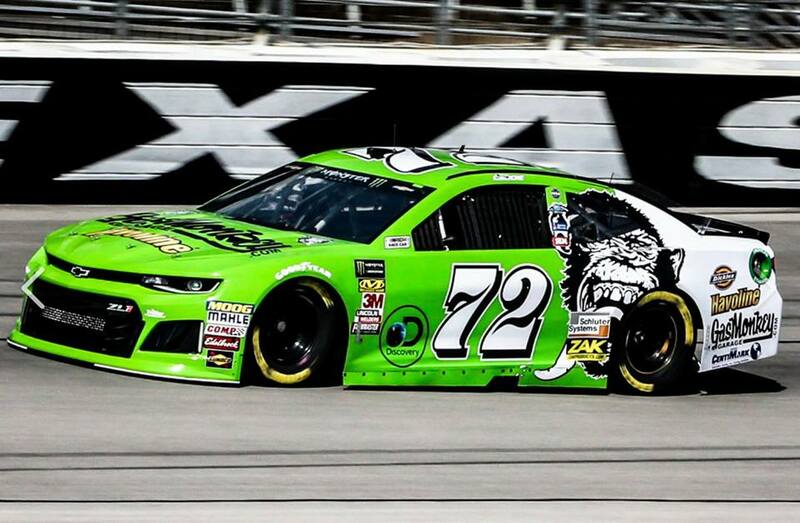 72 Chevrolet this weekend at Texas Motor Speedway. 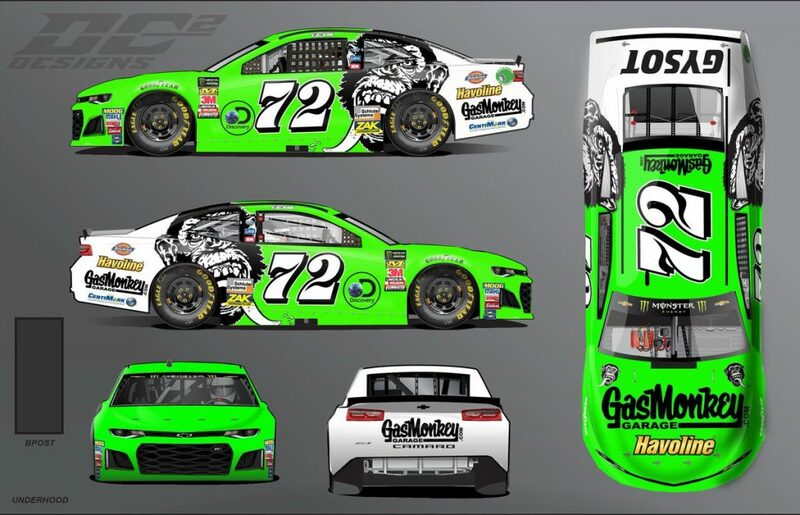 Featured on the car is Gas Monkey with it’s logo, and neon green colors. Joining as associate sponsors are Dickies and Havoline. 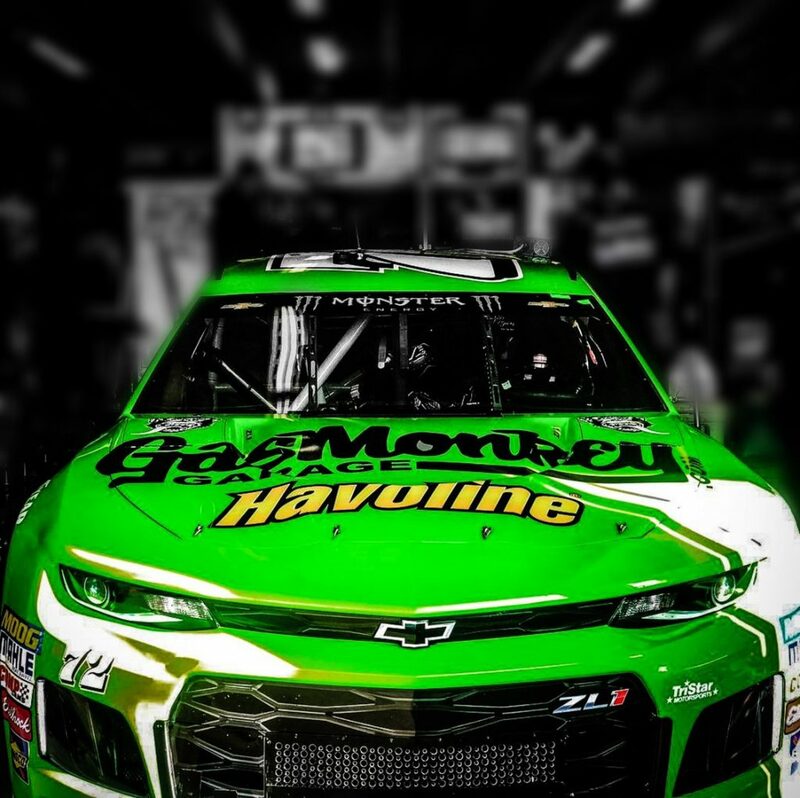 In 21 starts this season LaJoie has an average finish of 31st. His last race at Kansas produced a 34th place finish. His best finish came weeks ago at Las Vegas Motor Speedway, a 16th place fun. 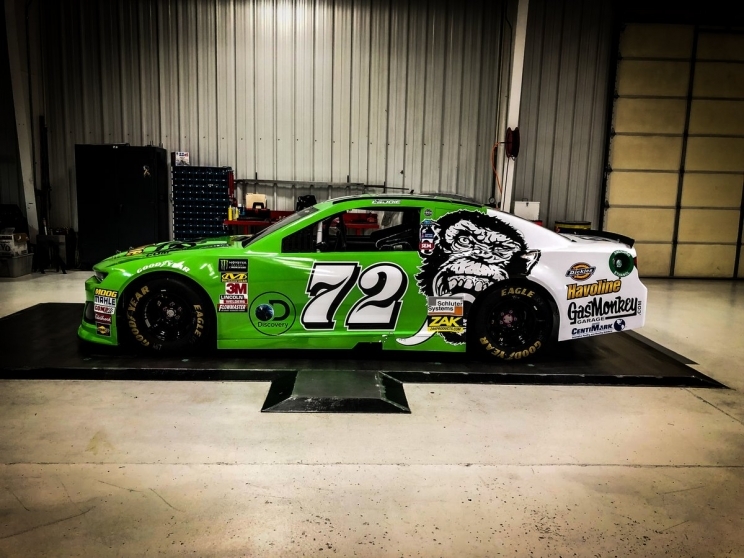 Gas Monkey Garage is a reality based tv show featrued on Discovery channel on Monday nights. The focus on the show is restoring classic cars.